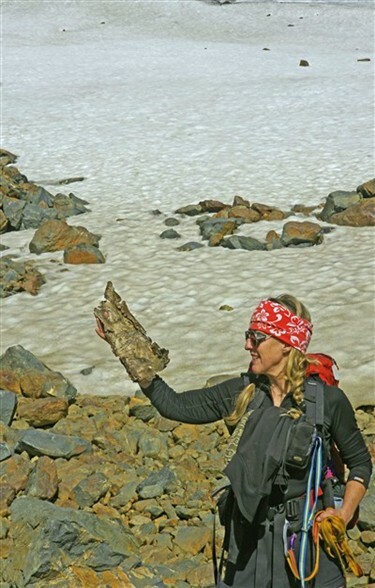 Read more about the project "Recent glacier retreat - a new source of high-mountain paleovegetation reconstruction and clues for the future alpine landscape"
Large chunk of birch bark recovered right at the lower margin of the glacier Ekorrglaciären (Sylarna Mts. 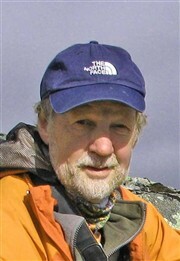 ).The site is 1350 m a.s.l., which is about 425 m higher upslope than the local treeline. Radiocarbon dating yielded 9020 cal. yr BP. During a period 9700-6100 before the present day, birch and pine trees grew without interruption where glaciers subsequently come to cover the site as a consequence of climate cooling. 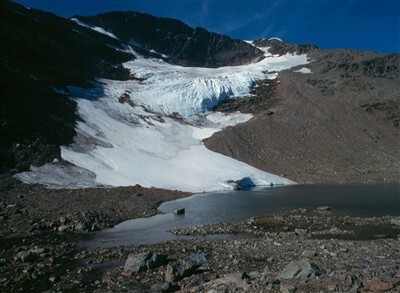 The glacier "Tärnaglaciären" in southern Swedish Lapland has retreated at the lower margin and thinned substantially during the past century and perceivably also over the past decade. Megafossil tree remains (birch and pine), originating from the early- to mid-Holocene, are becoming exposed in the forefield. Upper. September 6, 1999 (Lindgren & Strömgren 2001, Geologiskt Forum 32, 8-11). Lower. August 20, 2010. (L. Kullman). By the early-20th century, the glacier terminated in the middle of the lake ( Gavelin, A. 1910. Sveriges Geologiska Undersökning Ca. 5 (IV), 1-42).